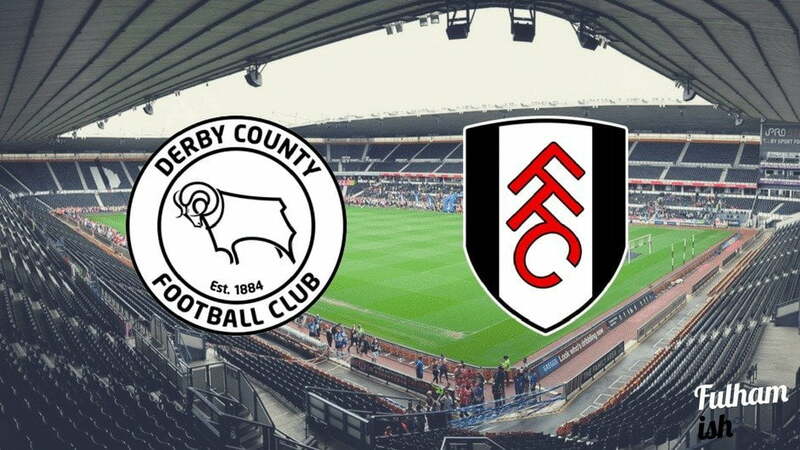 Fulham leapfrogged Sheffield Wednesday into the playoff places on Saturday afternoon, but a tough game against Derby County has the potential to pull the Whites back down to Earth incredibly quickly if they’re not firing on all cylinders this evening. Gary Rowett has come in to steady the ship after the sacking of Steve McLaren for the second time in two years, and his 4-2-3-1 formation already seems to be getting the best out of record signing Matej Vydra, who got the winner in Friday night’s victory over in-form QPR. The Rams completely dominated that game, with a host of opportunities spurned before the Czech striker thundered one home from close range, and the front four of Nugent, Ince, Vydra and the rapid Johnny Russell is nothing to sneer at, especially when you add the goalscoring midfield presence of Craig Bryson into the mix from behind that quartet. Bradley Johnson adds the steel, and the all-Irish centre-half pairing of Richard Keogh and Alex Pearce has been one of the better things about Derby County across the campaign, with club recording 17 clean sheets this season. Fulham will know all about how useful Chris Baird can be at right back, and in Scott Carson Derby also boast one of the most experienced stoppers in the League. With Rowett now at the helm, who hasn’t lost in any of his four league fixtures against Fulham, the talent in the Derby squad will surely come to the fore, and Fulham will have to be very wary. Rowett himself said that he felt Derby were still in the playoff hunt and they’ll be desperate to not only gain points themselves but take them from a team above them as the Whites come to town. Add that to the bad blood that’s resurfaced between the two teams this season and there’s the potential for an absolute firecracker of a game. The Chris Martin situation has reignited old rivalries that stem from the 1983 game between the two sides at the Baseball Ground, where a premature pitch invasion and an interfering crowd saw Fulham bottle a last day fixture and fail to reach the top flight. The Fulham players were assaulted as they left the field and it would take the Whites another 18 years to finally win their promotion to the zenith of English football. Small margins. Big effects. With Wednesday playing Rotherham this evening, Fulham may well need a victory to remain in the playoff places. How Derby County would love to derail their bid for promotion again. With Martin out, the big question is whether Slavisa starts with Cyriac as an out and out striker, or returns to the strikerless formation that we first saw in the reverse fixture. Whilst we like the idea of the Ivorian getting a first run out from the off, we are slightly concerned that it leaves us short of attacking options off the bench. As such, we’ve gone for a return to the formation that served us so well against league leaders Newcastle United, and thus Sessegnon gets the recall at left wing, not only for his attacking prowess, but to cover Malone with the talent of Tom Ince running up against him. It’s a win-win. Elsewhere, Madl and Fredericks keep their place, and Kebano leads the line. Scotty Malone, whilst possessing perhaps Fulham’s greatest song and making the EFL team of the year, has been known to be caught defensively out of position at times, and that’s a worry coming up against one of the league’s most talented performers. Ince has 12 League Goals this season and whilst he too has a touch of the ‘Taarabt’ attitude about him, there can be no denying that on his day, he is quite simply brilliant. Malone will have his hands full if the former England U21 is having a good day at the office, and the winner of their duel will be a key factor in whether Derby’s creative forces will be able to reach their peak. We’ve made no bones about the fact that we’re worried about this one, and Derby will see this as the point where their season ended in terms of a Playoff push if the Whites were to leave Pride Park with all three points. We’re going for a full-blooded, entertaining, 2-2 draw.